This new title documents more than half a century of the remarkable discoveries of around 300 bird species. Amazing as it might sound, ornithologists are still discovering several bird species each year that are completely new to science. These aren't all obscure brown birds on tiny islands – witness the bizarre Bare-faced Bulbul from Laos (2009), spectacular Araripe Manakin from Brazil (1998), or gaudy Bugun Liocichla from north-east India (2006). 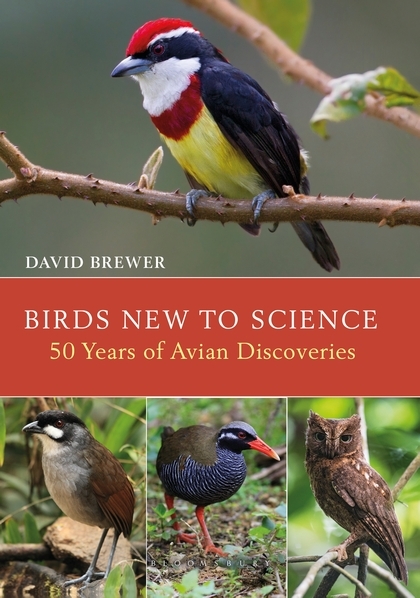 Birds New to Science documents more than half a century of these remarkable discoveries, covering around 300 species. Each account includes the story of discovery, a brief description of the bird (many with accompanying photographs), and details of what is known about its biology, range and conservation status. Written in an engaging style, this is a rich reference to an incredible era of adventure in ornithology.